Selene: Welcome to The Horror Tree, and thanks for agreeing to an interview. Tell us a bit about yourself. Eric: Thank you so much for your time and for allowing me to be a small part of The Horror Tree! A bit about me, via my usual bio: I’m a writer and editor of dark and speculative fiction, operating from the shadowy outskirts of Los Angeles, where I also run the small press, Dark Moon Books. By day job, I’m a technical writer and college professor, and before that I worked in mortgage banking. I’m married, with a young son and daughter. Plus I’ve a dog, cats, desert tortoise, and a terrarium filled with mischievous beetles. I’ve survived 42 years on this Earth, although I feel half that age mentally. I’ve travelled quite a bit, but I’ve lived in the same 25-mile radius in Southern California my entire life. I’m a pretty normal suburban White dude (third-generation Swiss-American), mostly passive, mostly introverted, pretty easy-going. I can jump rope all day long. I founded a hackysack club, that’s long gone under. My wife and I grew up together. I feel more comfortable in a dive bar than a fancy club. Outside other life responsibilities, I enjoy hiking and I study entomology (insects) and genealogy (family history); I woodwork in my garage; model miniatures; and read, read, read! Selene: How long have you been writing, and what about the horror genre draws you? Eric: I’ve been writing fiction driven by the goal of publication since February, 2011. However, I’ve been writing and drawing stories ever since I was a child. I just did it then for my own interest, or for friends. I stopped in college, in order to pursue business and serious-minded life necessities… which, of course, I now regret. I don’t regret the pursuit of those things, but rather having given up writing for so many years. I only jumped into as a potential career after the realization struck me that I was missing out on something I was passionate about! And part II to your question, regarding the horror genre: I’ve just always found horror to be “exciting.” It gets my heart pumping, adrenaline rushing, etc. I enjoy literary thrills of all kinds, whether the ghosts and monsters of horror, or the shoot-em-up conquest of military conquest; the excitement and wanderlust of adventure tales, or the far-flung speculative legends or fables from any era or land. They all inspire me in different ways! Selene: Your bio mentions all of your literary influences. Was there ever an “a-ha” moment, when you decided you wanted to be a genre writer, or did it come about in some other way? Eric: All my life I’ve been drawn to creation, whether writing, drawing, painting, building, acting, designing. I’m sure it must have been infuriating to my parents, I could never decide what I wanted to be when I grew up, and I still don’t. One day I think I should be a businessman, the next day a cowboy. I fulfill my responsibilities, but otherwise I’m lost adrift in my own whims and imagination. Suffice it to say, I’ve always just wanted to have a creative profession, but to balance that with success and wealth, which, naturally, I have yet to find! Selene: Is there a person or people who have really influenced your writing decisions? Eric: I can’t say that any one author has had the most influence. I first read Stephen King in elementary school, and then his subsequent novels through my formative years, along with the horror standards of the late ’80s and early ’90s, like Dean Koontz and Anne Rice, so those were my first introductions to horror reading. I grew to like short stories more though, and comics, and I read across genres, so I can say there are a number of authors who have impacted me in different ways, whether by their plot twists, or humor, or relatable characters, or rich prose, etc. Selene: We’ll get to your own writing in a moment, but first I’d like to talk about your work as an editor, which is how I’m familiar with your work. Tell us about this, and Dark Moon Books. Eric: I find editing is easier for me than writing, although writing brings more satisfaction. Writing is emotionally exhausting, whereas editing I can do all day long. And I’m always thrilled with the chance to connect and work with other writers while editing. But I love so much to type “The End” at the end of a writing piece—it’s a wonderful, fulfilling sense. Both are different journeys to a creative destination. And regarding Dark Moon Books—I bought it from its original founder last year, and completely rebranded it. I dropped all of its previous titles and started it over from the ground up. DMB was founded by Stan Swanson in 2011, and he was a mentor and friend who was one of the first people to buy my work, so Dark Moon Books since has just held a sweet, soft spot in my heart. I started off in the indie horror world knowing no one, and I blindly wrote to publisher after publisher asking them to work with me to publish my first anthology, Dark Tales of Lost Civilizations, and he was the only one willing. Anyway, as of a couple years ago, he’d stopped doing anything with the press, as he had some other life issues, and hackers had taken over the site. I didn’t want to see the name die, so I bought it out, built out a new secure site and image, and set a goal for it to be a short story venue, primarily for anthologies and my own oddball projects which can’t get signed elsewhere. My mission statement is for “Dark Moon Books to publish unusual and invigorating dark fiction for readers around the world.” I run my anthologies and Primers through there now, and hope to do more, but finances dictate most of those decisions. Selene: Writing (and reading) and editing are sort of a chicken-and-egg cycle. Readers love stories and become writers and then editors, and so on. Do you find your editing work has improved your writing, and vice versa? I found when reading slush that my writing improved, through exposure to the editorial process and a feel for what makes a good story. Eric: Oh yes, like, 1,000%!! I started editing because I wanted to improve as a writer, and it’s helped immensely. I recommend it to anyone wishing to improve their writing. By reading slush I saw what everyone else was writing about, the same tropes and styles, and immediately knew to write something going the other direction. By an aggregate of stories, I would find flaws in writing that I would then recognize in myself. And I found it’s true that you can accurately judge a story based on the opening paragraph, and in most cases the opening sentence. From editing, I gained experience in story development, author communications, layout, promotions and so on. I now look at projects from the multiple eyes of “Editor,” “Marketer,” “Distributor,” “Publisher,” and it’s made me a better person. Additionally, my day job of Technical Writing can get dull at times, but it’s also definitely improved my fiction writing, by articulating stories in concise language, with focus on impact, brevity, and an understanding of audiences. Selene: You’ve got a new anthology out this week, Pop the Clutch: Thrilling Tales of Rockabilly, Monsters, and Hot Rod Horror. How did this come about? Eric: Funny that I can remember the moment so clearly, and that the moment was so bland. I was working remotely for my job, and I took a break and lay down on my bed, and out of nowhere I thought, “Man, I should create a horror anthology about rockabilly.” Totally random! I used to be a big rockabilly music and culture fan, and there was some great cross-over punk and gothic tunes, bands like the HorrorPops, Tiger Army, Nekromantix, and others, especially bands with Psychobilly tastes. And I used to collect Tiki Head statues and Fez caps, vintage pin-up artwork, stuff I don’t have any longer since having children. Anyway, such is kismet. Selene: I was looking through your author listings on Amazon, and you have a vast range of work, from 100 word drabbles to novels, to what even appears to be a scholarly paper. You also work as a tech writer. What’s your favourite thing to write? Eric: My main profession is as a Technical Writer, and I used to work in advertising and wrote copy write at that time. I’ve written for marketing, and academia, and also non-fiction of various subjects. Persuasive writing, content writing, descriptive writing, ghost writing, you name it. And each of these types of writing has different styles and nuances. But my favorite thing to write? Fiction short stories, of course!!! Totally, totally, totally!! Selene: Another odd question. I read in your interview with The Horror Writers’ Association that you had taken a break from writing, then got back into it through genealogy. What interests you about genealogy, and how does it influence your work? It was that simple… I really wondered then, why had I given up something I’d loved so long ago, for a failed mortgage career? It inspired me then to do something I was passionate about, rather than trying to rebuild a business life of which I’d never felt particularly adroit at. Which all goes to the age-old trade-off: Once I had money though was cheerless, and now I’m broke and happy (or at least having a sense of purpose)! Selene: I’ve only managed to read a few of your stories, but I noticed a couple of things about your characters, namely strong protagonists, and a feeling for even minor characters as real people (even the ones who are aliens or robots!). How do you approach writing your characters? Eric: First, read more of my stories (really, please! ), haha. And thank you for the kind compliment. I don’t think that I have any formula for writing a character, it’s rather more of a litmus test. If I start to write someone, and they immediately feel “flat” or without purpose, I dispose of them and start over. I usually think of people in terms of flaws (myself included), and that carries over to characters. Everyone has emotional issues, disappointments, fears, curious or morbid ways, and that often drives what I write in the realms of dark and weird fiction. Selene: Your plots are also pretty complex, even in your shortest stories. Where do you get your ideas, and are you a “pantser” or a “plotter,” so to speak? Eric: OMG, I had to Google, “What is a Pantser?” But now that I know what it means, yes, a Pantser is I (most of the time)! I do always begin just by “writing as I go,” but if the story becomes complicated or I get burned out, or stuck, then I turn to plotting or outlining to figure the proper direction. And ideas come, literally and figuratively, from everywhere: Dreams (both night and day), global news and current affairs, conversations with people, personal observations of the world, and playing the “What If?” game. Selene: Your settings also vary wildly from story to story. I’ve read about a small town in PA and the “event horizon” of a black hole, and intimate settings such as an office or a bedroom after dark. How do you develop your story settings, and do you “write what you know” or try to imagine different places? Selene: I saw Facebook post from you the other day, outlining all the things you have on your plate right now. It can seem overwhelming. How do you juggle so many projects, and manage your time? Eric: Probably not as well as I should! I constantly fear that I spread myself too thin, and that because I’ve involved myself in different activities and obligations, I don’t put truly sufficient time and attention into any of them. I work from home, which is really the only way I could possibly multi-task what I do, in that with flexible scheduling I can push things around at all hours of the night. I work full time as a corporate Technical Writer, plus two more part time gigs (including adjunct teaching in the University California system). I prioritize work and playing with my children: I coach AYSO Soccer and Little League baseball, and I’m Den Leader of my son’s Cub Scout Pack. Things like that are where I find meaning in life, along with my creative endeavors—I work on book projects whenever I have time. I don’t watch TV, I don’t socialize, I just read, write, and edit! Selene: What advice would you give someone who’s just starting out, either in writing or editing? Selene: Thank you again for answering my questions. Do you have anything else you’d like to talk about here? Eric: Thank you, again, for your time, Selene. The only final things I like to say are to plug my latest works! Quick synopsis: A World of Horror is an anthology of all new dark and speculative fiction stories written by authors from around the globe. 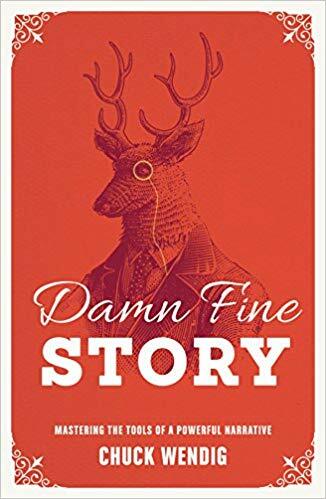 Quick synopsis: A 1950s-themed anthology of 18 all-new rockabilly, pulp, and horror tales, with fast cars, rowdy characters, and revved-up classic movie monsters. Additionally, I’ve created an ongoing series of primers exploring modern masters of literary dark short fiction, titled: EXPLORING DARK SHORT FICTION, of which I’m estimating to release an average of 2—3 volumes per year (Vol. 1: Steve Rasnic Tem; Vol. II: Kaaron Warren; Vol. III: Nisi Shawl; Vol. IV: Jeffrey Ford; Vol. V: Han Song; Vol. VI: Ramsey Campbell). Volume 3, for Nisi Shawl, will be landing in a few weeks! And finally, I’m in process of shopping my first novel (publishers and agents, take note! ), which I finished writing last year: Crossbuck ’Bo. Quick synopsis: A Depression-era hobo rides the rails and learns the underlying Hobo Code is a secret language that leads into the world of shared memories, where whoever is remembered strongest can change history and alter the lives of the living. If you would like to find out more about Eric and his writing endeavours, check out the links below.